It was time for Mike Kohon to make good on a long-time promise to his little sister. His bold claim was that one day he would get her a Burmese Tiger named "Leo". 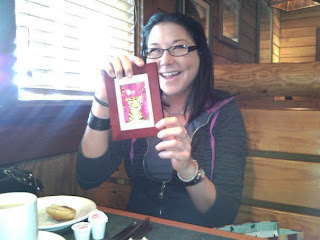 I think the photo tells the rest of the story: a gift given, a destiny fulfilled. Thanks Kohon kids, you're grrreat! 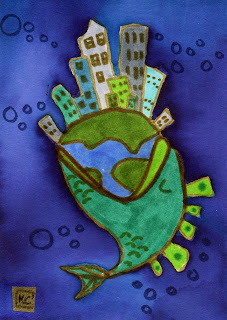 Bid today on "The Guppy Who Swallowed The World"! Bid today on "Cat Kids" !